Located in Gothic Quarter, H10 Madison is next to popular attractions like Palau de la Musica Catalana and Barcelona Cathedral. This 101-room, 4.5-star hotel has conveniences like an outdoor pool, free in-room WiFi, and a rooftop terrace. In addition to a restaurant that serves breakfast, lunch, and dinner, there's also a rooftop bar. Savor a meal from the comfort of your room with room service. Start your day off with cooked-to-order breakfast, available for a fee. Guests can expect to find free WiFi and 48-inch a TV with digital channels. The bathroom offers hairdryers, designer toiletries, slippers, and bathrobes. Other standard amenities include a minibar, a coffee maker and free bottled water. Built in 2018, the brand new H10 Madison features an outdoor pool, a rooftop terrace, and free WiFi in public areas. Multilingual staff at the front desk are standing by 24/7 to help with tours or tickets, luggage storage, and dry cleaning/laundry. Other amenities at this luxury hotel include a business centre and laundry facilities. The hotel offers a restaurant. Guests can unwind with a drink at one of the hotel's bars, which include A poolside bar and A bar/lounge. This 4.5-star property offers access to a business centre. Wireless Internet access is complimentary. 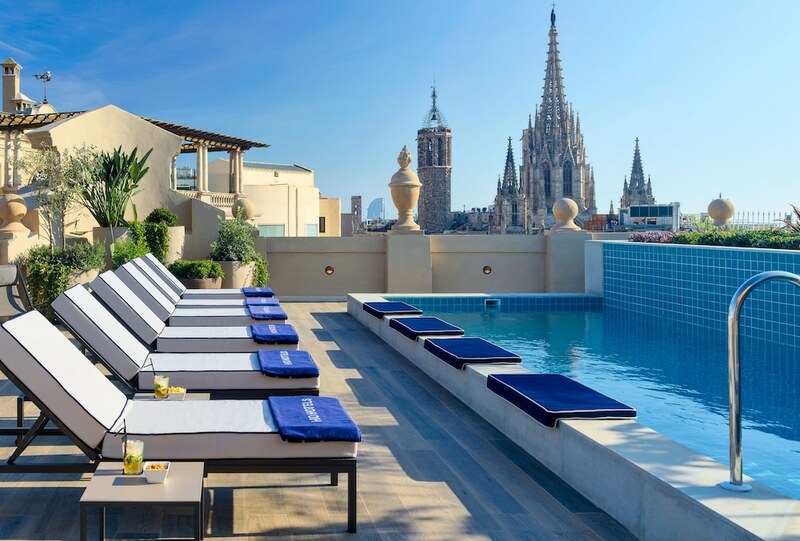 This luxury hotel also offers an outdoor pool, a rooftop terrace and tour or ticket assistance. H10 Madison has designated areas for smoking.